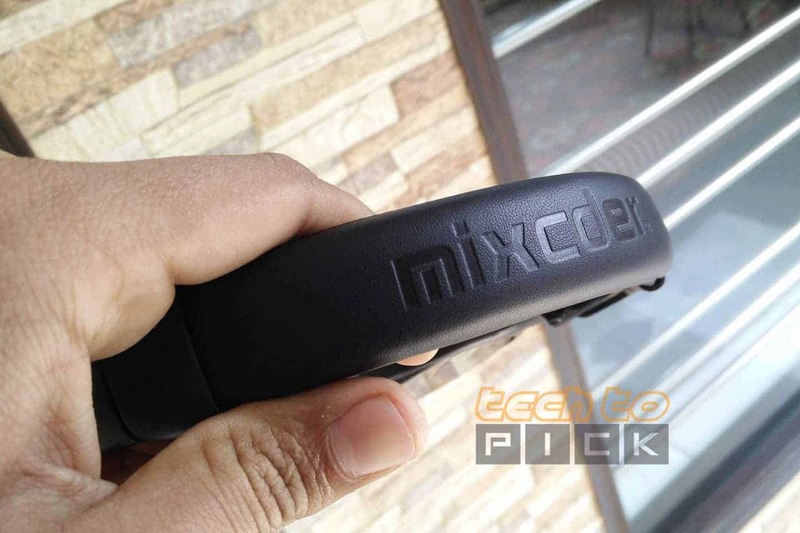 Mixcder ShareMe Pro model which I have cost $50 or almost 3500 rupees in India. And I have lots of things to talk about ShareMe Pro So, let’s Start this Review. Starts with build quality I have to save guys that is the best build headphone I ever used for the Price tag of Rs.3000 or $50. I’m really impressed from mixcder, the headband is covered with really nice quality leather and it’s pretty soft too. 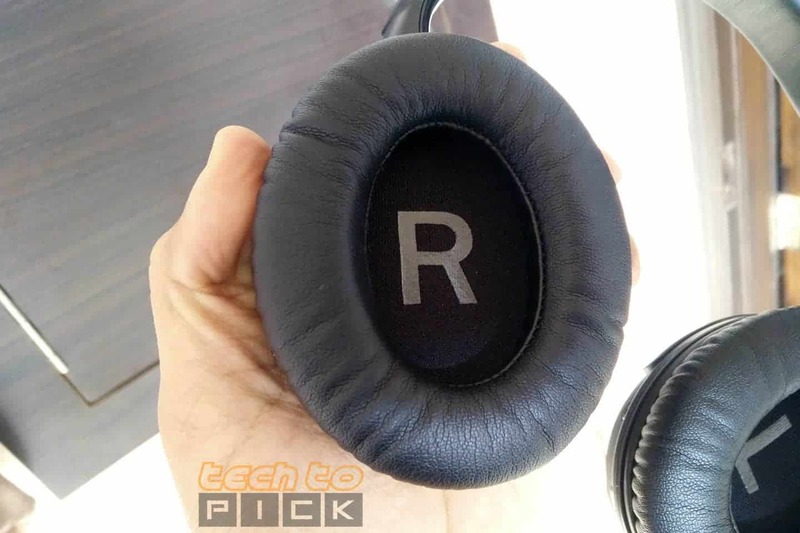 Cushions on ear cup is also really nice and overall headphone is made with the really good quality material. Now Talk about Comfort as I say previously headband is really soft and cushions on ear cup are really nice. That is an over the ear headphone So, it’s really comfortable to wear and you can listen to this for quite long time without hurting your ears. Now coming on to the features Mixcder ShareMe Pro is packed with full of feature. That is a wireless headphone with Bluetooth 4.1 and range is up to 20 -25 feets in my testing. Inside you got 40mm Drivers for great audio output. It has all the buttons on ear cups like on the right side it has Power Button and Volume Buttons on the other side Play/Pause and Next/Previous Button. And it also has a Mic Built-in and an AUX Port you can also Share audio with another person which is fantastic when you are watching any video or movie with friend/family. That is also come in handy when your headphone Battery is Dead, but you have to buy your own aux cable. You can connect this with two devices at the same time via Bluetooth and listen from any device at one time. The sound is most important for any headphone and Mixcder ShareMe Pro doesn’t disappoint me first of all that is loud and clear. Vocals are fantastic if you are in any sort of Sound/Audio testing department and you budget is tight must take a look at ShareMe Pro. Mid-highs are delivered nicely and BASS & Lows are perfect for Music Lovers because BASS is Pretty Natural. So, in sound Department, I love these headphones and especially for the price of 3000 rupees I give 9 Points Out of 10. Until Now I talk about features, comfort, and sound quality and now it’s time for some important topics first of all that headphone is not for travels. Because it’s not compact in size and that can easily slip from your head if you look up or down. 2nd thing is battery life I got almost 9-10 hours of Battery backup on a single charge which is great but not the best and Standby time is fantastic it turns off automatically is idle stats and save battery. One Issue which I found with mixcder share me pro which is audio delay via Bluetooth Only not with aux, it’s not huge like just millisecond delay but you will notice that when you are watching action movies. So Overall I give 9 Points to Mixcder ShareMe Pro in My Review if you want to buy then use my link given below in the Description. If you like this post then Please Like and Share this post and Support me by Subscribe to TechToPick and follow us on Facebook, Twitter, and Instagram.